Concerned about the public drawing parallels, China’s govt wants reporting, not analysis, of unrest in the Arab world. A friend of mine who recently returned from Tokyo asked me why the Chinese media has only been reporting on the conflict between the pro-Gaddafi military and the opposition, rather than analyzing the reasons why there are so many people opposed to Gaddafi’s rule. Certainly, the Chinese media has been very interested in the conflict in Libya. But it has mostly been reporting on the actual conflict and how the West is ‘attacking’ Libya. In contrast, there has been little analysis on the political issues facing Libya, including how Gaddafi’s government is falling apart, the country’s long-term political outlook, and why many Libyans are so unhappy with their ruler. The reason is simple: the Chinese media is adhering to its ‘ostrich policy’. What does this mean in practice? The media, being afraid or unwilling to confront the real problems behind the unrest, has decided to put its head in the sand by just reporting straight news. If it reports in much depth on how the Gaddafi regime has been in power for a significant amount of time, and how this has led to corruption within the family and prompted public discontent, then people might make a mental connection with the situation in China – and act accordingly, therefore risking instability. As a result, the authorities have reportedly asked China’s media to stick to reports by the official Xinhua news agency. This doesn’t just apply to news articles on Libya – similar situations in Syria, Yemen and Egypt, have recently become ‘restricted’ zones. With so many ‘restricted zones’ now in place, the media has become quite adept at the ostrich policy, meaning that even if the authorities don’t give a clear signal on an issue, media managers will adopt self-censorship and avoid sensitive topics. This self-censorship can sometimes cross the line into efforts to manipulate public opinion – with amusing results. A recent CCTV programme, for example, was reporting on how Libyans were opposed to French air strikes. Unfortunately for them, they inadvertently showed footage of people holding pro-Paris banners. Another CCTV programme featured an interview with an ‘average’ Chinese national residing in Tripoli. However, netizens reportedly discovered that the person interviewed was actually a Foreign Ministry employee. The examples I’ve just given are typical of Chinese media coverage of current affairs. 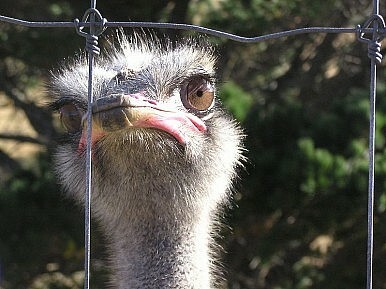 Although reporters know that the ostrich policy is aimed at appeasing the authorities, they still don’t like it. Yet even knowing the media is dissatisfied, a nervous government has no desire to allow unfettered media coverage. In a way, you can understand why. History has shown many times that in an authoritarian country, once a previously tightly-controlled media is released and given free rein, instability and change can follow. As a result, the Chinese government sees the media as a front in the battle over public opinion. I understand the Chinese government’s belief in the importance of stability for economic development, and why it would therefore believe that it needs to control the media. But frankly, when newspapers all start publishing the same news sourced from Xinhua, the trade-off for stability has become an insult. This is a sensitive issue here in China, so I hope you’ll understand that on this entry at least I’d rather not get drawn into a debate in the comments section. Why Jasmine Died in ChinaAi Weiwei and Colour CrackdownsChina Tightens Media Grip'We Will Respect Libya Choices'What Next for Ai Weiwei?